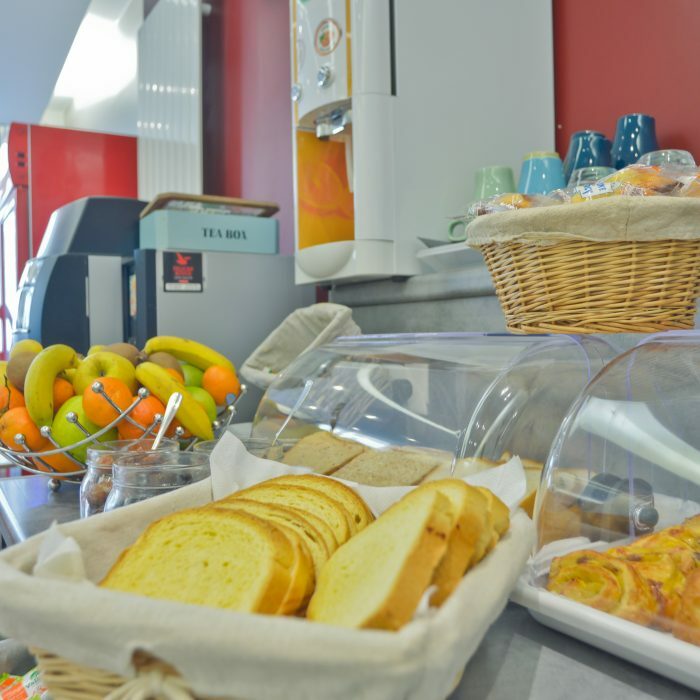 Coffee, tea, chocolate, milk, orange juice, baguettes, pastries, butter, jams, yogurts, cereals, fruit salads, cold cuts, boiled eggs and other products that we will let you discover when the time comes. It is served in our lounge, a nice and warm indoors space, or our patio a charming little courtyard outside. 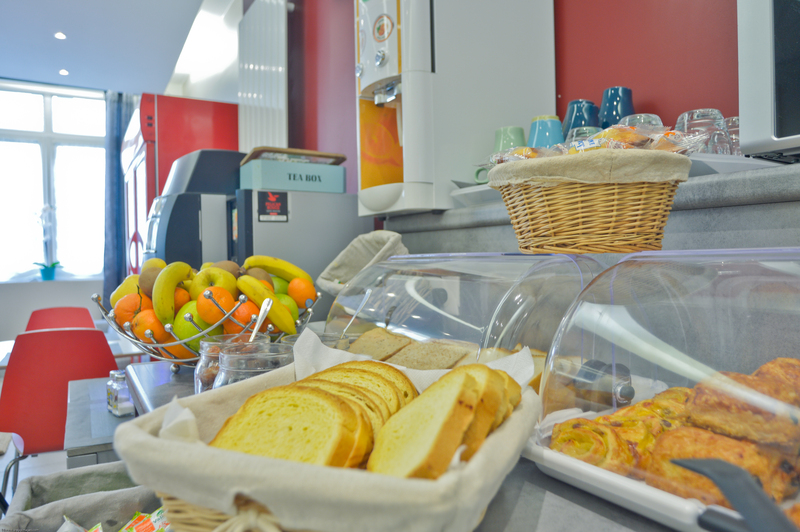 Our lounge is open all day to meet with family or friends in a relaxed atmosphere. You also have the opportunity to stay on our patio, to enjoy a moment of fulness away from the bustle of Parisian streets.